Skylights and light wells can be a welcome addition to any home during Melbourne’s bleak winter days. The houses of the older inner suburbs of Melbourne are densely built with all styles of period homes. Because of this closely built style, it can often be difficult for light to enter some rooms in these houses. Add to that the tendency for older homes to have only small to medium size windows and it’s easy to see how these homes are very much lacking in natural light. Skylights and light wells when positioned correctly on your slate roof will instantly add a bit of life to those dark and dreary corners as well as cut down on your energy bills. At present there are many different types of skylights, light wells and solar light tubes available for slate roof tiles. Solar tube types with flexible reflecting shafts to get into the most difficult areas. Sizes available for these can run from around 150 mm in diameter all the way up to around 600 mm in diameter. These are often used where there may be many obstructions in the roof cavity. The flexible reflecting shaft can be guided around these obstructions and get to areas where the straight shafts of other skylights just can’t reach and still be effective. 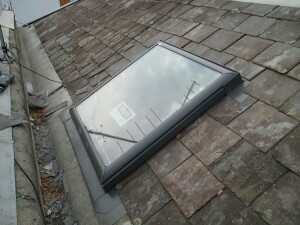 Acrylic flat or domed top types of skylight. These are the probably the most common types of skylight in use in Melbourne. 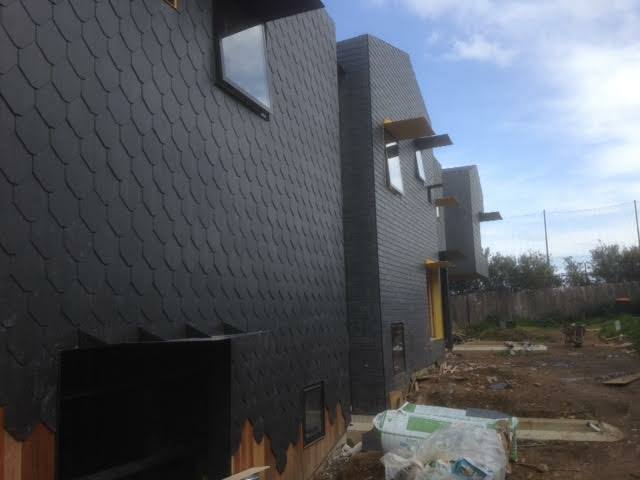 The tops are made of an acrylic type of plastic that’s tough and durable under most Melbourne conditions. Available either vented or non-vented. Glass top skylights. Among others a common and popular type is the Velux skylight. These skylights are available in many different sizes and configurations… fixed, vented, openable, with rain sensors, remote controllers and blinds. These are all well made and have excellent roof flashing kits to suit all types of roofing. Light wells can best be described as large windows built into the roof. The roof flashings are usually custom made on-site and the covers are usually fixed glass but we have installed a few with acrylic tops. Using correct flashings and installation techniques is of the utmost importance. 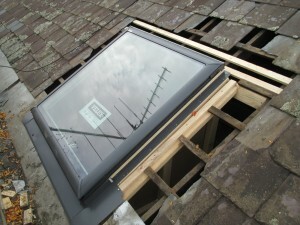 We’ve seen many skylights installed in slate roofs around Melbourne where the wrong type of flashings have been used. Not only is this unsightly but it’s also a disaster waiting to happen when the bigger rain storms hit. Some skylights and light wells may cope well enough with average type rains with the incorrect flashings, but when the volume of water is bigger the water can’t get away quickly enough and eventually spills into the roof and causes much damage to plaster and paint. 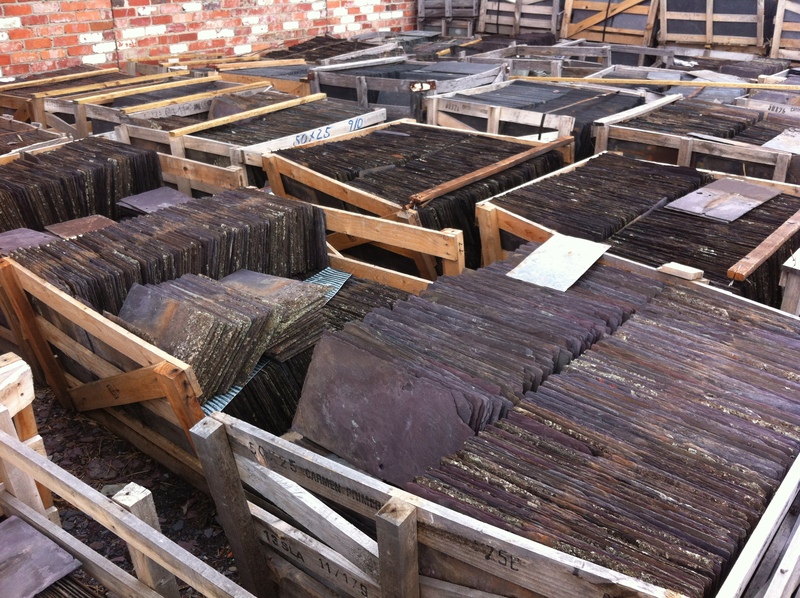 Skylights designed for tiled and corrugated iron roofs are not suitable at all for slate roofing. Many times leaks can be caused by the skylights themselves but in most cases it’s usually the roof slates damaged around the skylight. 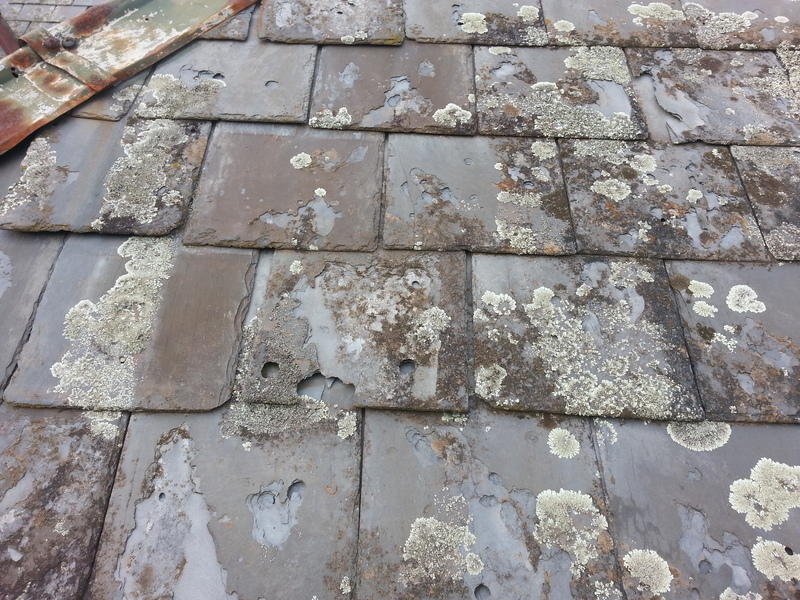 This damage to the slates is mostly caused by well meaning tradesmen or home owners walking on the slates to try to stop leaks inside the home. Unfortunately this usually results in more damage and more leaking. 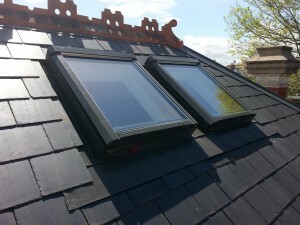 If you require a skylight installation or repair for a slate roof in Melbourne we can help. 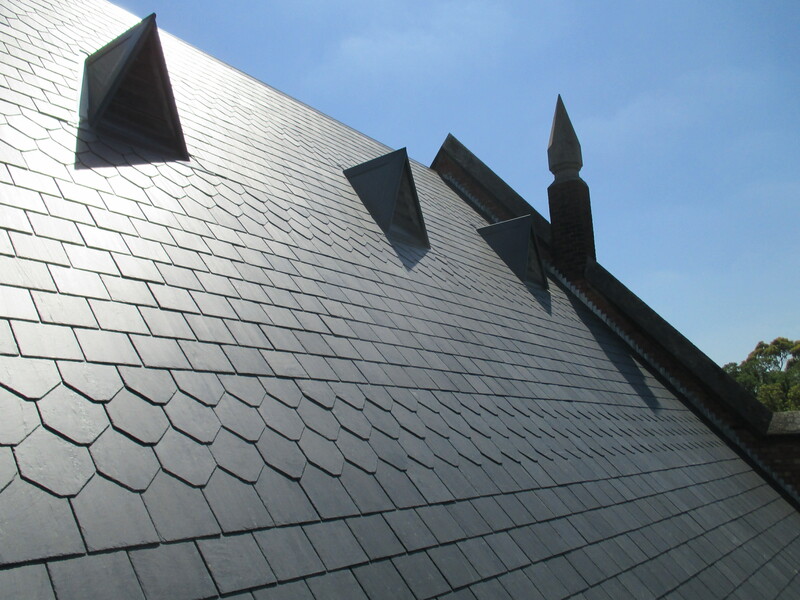 Abardeen Roof Slating has been installing skylights, light wells and solar light tubes in slate roofs for over 20 years.